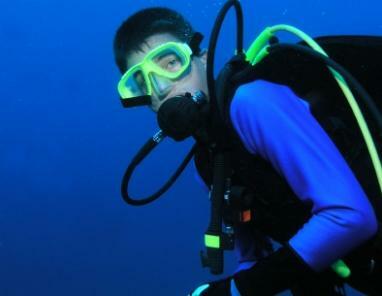 The scuba suit was a French invention. Out of France has come a myriad of French inventions, Nobel laureates, and brilliant scientists who have made landmark discoveries. Whether you are studying French, science or history, you will have undoubtedly heard of many of these famous French inventions. Whether it's architecture or science, French inventors really shine with ingenuity. Learn more about some of these famous men and women, and the French inventions with which they are credited. The Braille system, a method for reading and writing for the blind, is a French invention. Louis Braille was an incredibly intelligent and creative student. He accidentally stabbed himself with an awl, causing an infection that left him blind. After he went blind, he became an accomplished cellist and organist. It was when he was 15, that he got the idea of creating a system of six dots so that a person could read words and letters using a single fingertip, thus making comprehension easier for the vision-impaired. A confectioner whose name was Nicolas Appert invented the process of canning. His method involved sealing a glass bottle full of food, wrapping it in canvas to protect it, and then dunking it in boiling water to cook. It is said that he once canned a whole sheep. A Bourdon Gauge is a French invention that measures pressure in pounds per square inch. It was invented by Eugene Bourdon at a time when steam engine accidents were commonplace. This was partially due to the inability to correctly gauge pressure before an explosion. The Bourdon gauge made train travel much safer. It is still in use today. A French woman, Herminie Cadolle, invented the bra. Cadolle got her start by opening a lingerie store where women came in and were measured and then had pieces created specifically for them. Little did she know that her bras would come to define women's undergarments for centuries to come. Jules Carpentier designed the submarine periscope. While this is his most well-known invention, he mostly dabbled in developing cameras and cinematography. He also worked in developing processes for photographs. John Theophilus Desagulier is often credited as inventing the planetarium, based on some plans that he had written. However, it was his popularization of Newton's laws of thermodynamics that truly advanced science. The earliest parachutes were linen wrapped over a wooden frame. As you can imagine, they were bulky and limited in their usefulness. André-Jacques Garnerin got involved in hot air ballooning and decided to create a silk parachute that looked somewhat like a large umbrella attached to the balloon's basket. When it was released, the passenger would ride in the basket with parachute unfurled like a giant umbrella. The modern steamboat is first credited to a French inventor, Marquis de Juoffroy d'Abbans. He first sailed a 13-meter steamboat on the Doubs, in 1776. His progress was ultimately hampered by the French Revolution and he died of cholera, but not before being acknowledged by academic bodies for his invention. His steamboat used rotary gears to power oars and paddles to propel the boat. Are you surprised to find out that the camera phone is a French invention? Philippe Kahn developed the first camera phone in 1997, thus enabling people to share photos instantly over public networks. It's hardly surprising that out of the haute couture climate of Paris would come the inventor of the mannequin. Alexis Lavigne invented the couture mannequin, the supple measuring tape, and founded the first fashion school. The first combustion engine was developed by Étienne Lenoir, and was patented in 1860. While his original version of the combustion engine proved to be too noisy and impractical for prolonged use, it was his first design that inspired several others after him to create new and improved versions of the engine. Throughout the centuries, out of France have come some of the most monumental inventions. French inventors continue to lead the way in technology, the arts, and various sciences. Without the work of these brilliant men and women, the course of history would certainly be different.